Stafflex are extremely proud to sponsor this year’s Courage Award at the prestigious Huddersfield Examiner Community Awards. As a recruitment agency we’re all about connecting people and anyone who knows Stafflex will understand that we like to take a very active role in the community as we believe that a successful business leaves behind a legacy of supporting their local area. We also have a long standing history of supporting some fantastic local organisations and programmes such as the Stafflex Arena (Storthes Hall Park and Leslie Foundation), Huddersfield Live, Huddersfield Food and Drink Festival, Huddersfield Literature Festival, Kirklees College, King James’ School, Moor End Academy, Ravensknowle Children’s Gala, Kirkheaton Gala, Emley Show, Welcome Centre, KACCL, fairandfunky plus a host of other initiatives. We’re thrilled to be involved with The Examiner Community Awards which showcases everything that is great about Huddersfield, recognising the amazing achievements by those who go the extra mile to make a difference to their community. We would like to wish the best of luck to all those shortlisted for the Stafflex Courage Award. A massive stroke left Holmbridge man Richard Ford completely paralysed. But the courage he has shown ever since that terrible moment he collapsed in June 2012 to now is inspirational to everyone who meets him. For not only has he battled back to become a family man again, he has done sponsored events to raise money for charity and has even set up his own community project. When bank robbers attacked a lone security guard pensioner Robert Wells didn’t hesitate to help. For, fearing the guard would be badly hurt, Robert grappled with one of the two robbers and stopped him from hurting the victim any more. As they fled they bundled Robert down the bank steps and although he was left lying on the pavement he still managed to note down the registration number on their getaway car. She had the courage to tell her story to the world in the hope others would not have to go through the agony she endured. 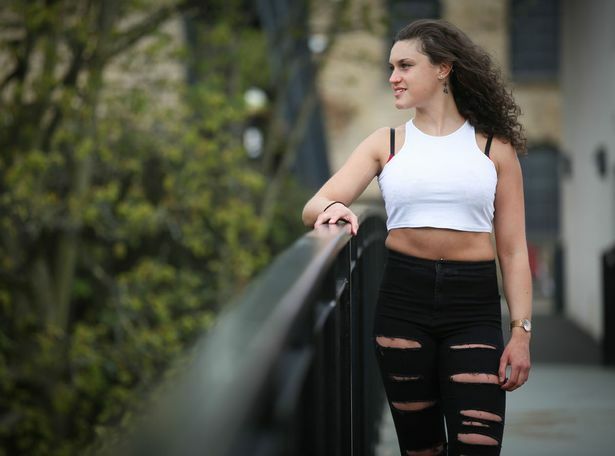 Anorexia sufferer Emelle Lewis was so distraught with her body image she faced the grim possibility of death as her body was reduced to little more than a skeleton. But the 22-year-old from Mirfield eventually decided she didn’t want her life story to end that way and made a miraculous transformation to the point she has even taken up weight training. Click here to read an extended version of the nominees stories on The Examiner.